Special Agent Omar Zagouri's latest case is his most dangerous-and his most personal yet. The discovery of secret sixteenth-century letters unveils a plot between the sultan Süleyman and his chief wife, Roxelane, to change the course of the Ottoman Empire. A descendant of Roxelane, Zagouri learns he has an enemy whose revenge has been centuries in the making. Targeted by an antiquities collector who's descended from a chief rival for the ancient throne, Zagouri soon uncovers a modern-day conspiracy that threatens the lives of his family and the security of a nation. To expose the plot, Zagouri must team up with Naim, the son of his nemesis Adem Bata. Bata heads an international black-market operation that may have ties to the killings. From ancient Constantinople to the present-day Middle East, Zagouri is on a collision course with history. 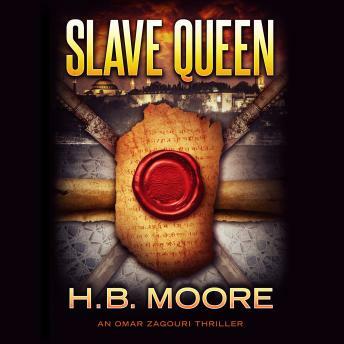 Time is running out to solve a royal mystery and stop a ruthless killer-one who has Zagouri's name on his hit list.